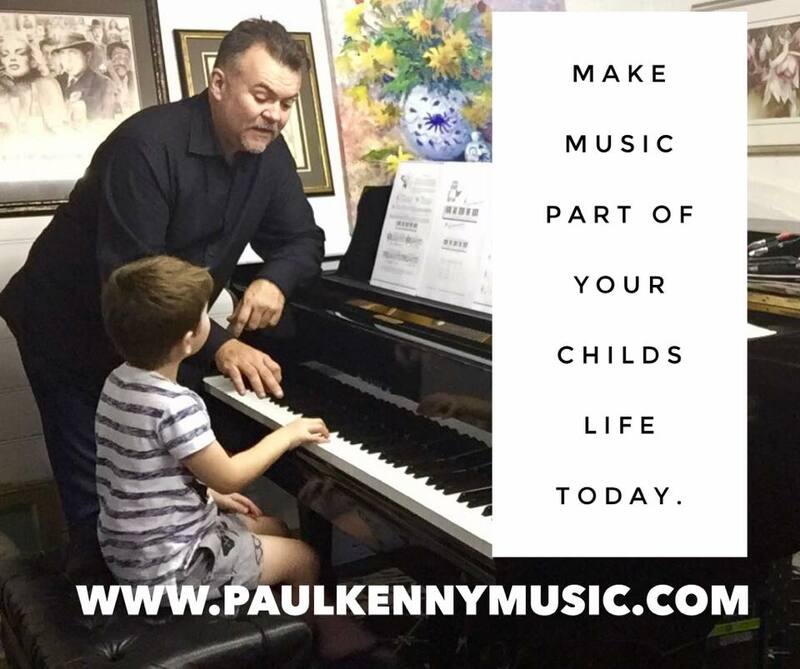 Paul Kenny - Paul Kenny Music Academy. Music Tuition and Learning Centre. Offering tuition for local students as well as international music students. Piano, Keyboard, Music Theory, Bass Guitar, Song Writing. North West Coast, Tasmania. Music Studio located on the North West Coast of Tasmania, Australia. Studio Located on the North West Coast of Tasmania, Australia. Learn from a teacher with over 30 years experience. Learn from an Internationally Recognized Composer with over 70 Music Albums to his credit. Learn from a Music Producer with over 100 Music Albums to his credit. Learn from an Award Winning Music Artist and Composer. Learn Modern Music... Jazz Music... Classical Music... Composing Music... Computer Music. Private tuition is also available at my music studio located on the North West Coast of Tasmania, Australia. Private and Group Tuition Available. Tuition Fees are to paid by the Term of 10 Weeks in Advance. ​"One Off Lessons" are charged at $95.00 per hour. ​Phone/Text - 0413 488 004. Private Weekly Lesson -10 Week Term. Some tuition materials are supplied. Spaces are Limited. Register NOW!! Classes held on the North West Coast Tasmania. What music are you having in your home this Christmas? How special would it be playing Christmas Music with a family sing along? I can help you learn to play some beautiful Christmas Music. Easy to play Christmas Carols arranged by Paul Kenny (me) Imagine the beautiful music you could be playing this Christmas. 8 Week Course Limited to 6 per Group. Music Theory Classes covering Grades 1 - 2 - 3 - 4 - 5+ Each grade is a separate class. Group Lessons for Children and Adults. Music Classes with Paul Kenny at Encore Performing Arts Studio. Piano - Keyboard - Music Theory - Song Writing (Composition) - Beginners to Advanced Levels - Children and Adults​ - Limited Times Available. Encore is a studio for teaching music, art and theatre. Encore’s philosophy - ‘music, life, fun’ drives us to not only strive for artistic excellence but to build confident and happy people. We are proud to offer music for everyone from beginner to adult whether you want to become a concert pianist, learn the instrument that you wanted to learn as a child or just enjoy music. Encore has tutors with various skills in music and life and our staff will pair you up with the best tutor to suit your needs.